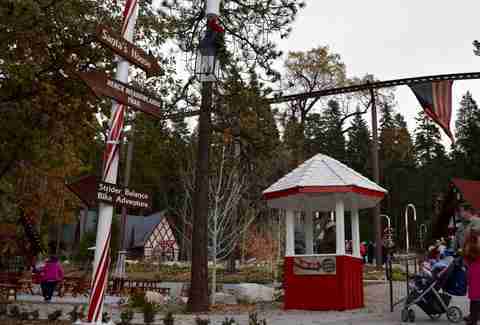 The iconic Santa’s Village, the long-abandoned winter wonderland nestled in the San Bernardino Mountains, has been painstakingly restored and is getting ready to open for the holidays this year. 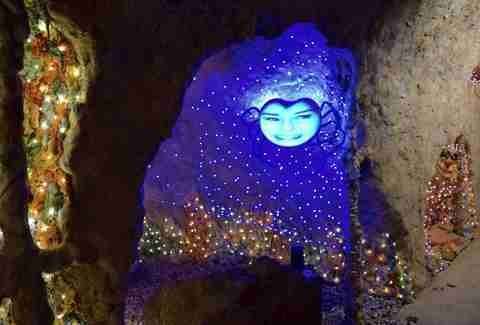 Angelenos of a certain age will likely remember visiting the old-school theme park (or at least seeing the commercials as a kid), and will soon be able to visit Santa at the revamped destination. 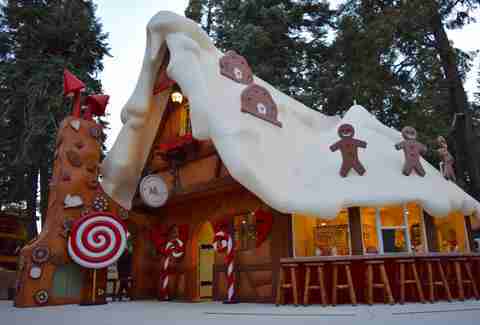 Now known as SkyPark at Santa’s Village, the park will feature several new additions to the restored original features, including outdoor activities like a climbing wall, new eateries, and even a bar for the grown-ups. 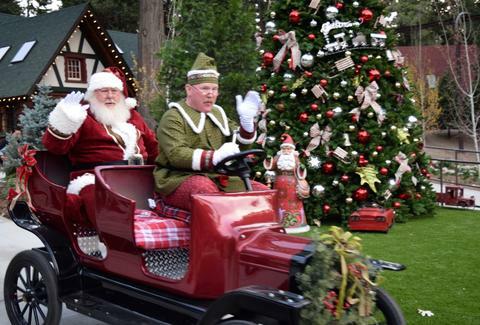 The Christmas-themed park originally opened in 1955 -- over a month before Disneyland -- thanks to developer Glenn Holland, and featured rides, a monorail, a Ferris wheel, and a petting zoo with live reindeer, as well as a toy shop, bakery, candy store, and more. The park had a successful run for decades as a popular holiday destination, but the franchise -- which included locations near Santa Cruz and in Illinois -- faced bankruptcy in the late 1970s. 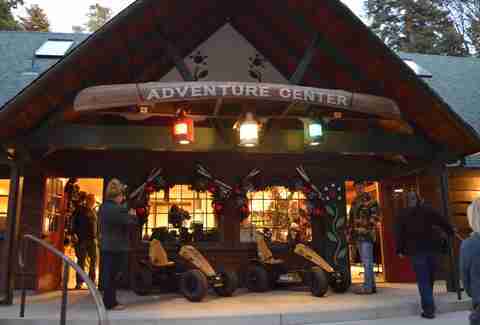 The Henck Family, who already owned the 230 acres where the 15-acre park sat, purchased the park, reviving it and adding more features; they eventually decided to close it in 1998. Another owner later worked to restore the park, but the “Old Fire” in 2003 -- one of the state’s worst wildfires -- put a sudden end to the efforts. 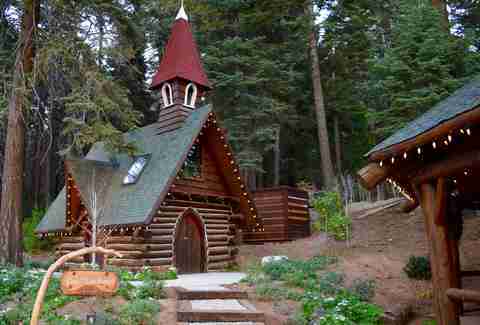 Thanks to some renovations and firefighters’ efforts, the structures of Santa’s Village remained mostly intact, but the park stayed a ghost town for years to follow. Looking to Step Outside Your Comfort Zone? We Braved a Los Angeles Fire-Dancing Class. Then in 2014, local developer Bill Johnson and his wife Michelle announced plans to renovate and reopen the park. 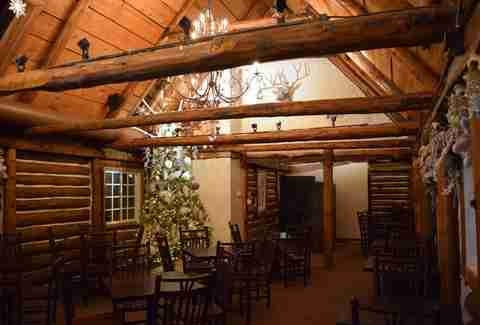 Over a roughly 30-month period, they’ve been working to restore the property’s 18 original buildings; additionally, they've planted 6,000 indigenous trees as part of a reforestation project, added an ice skating pond, and built features that include a new storyline. 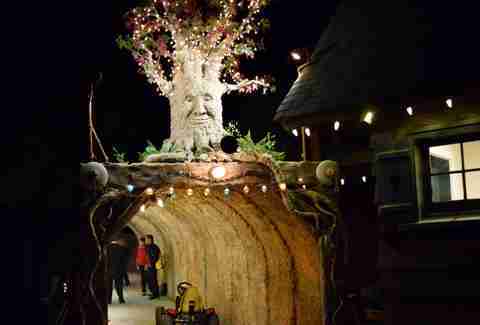 The Santa’s Village components of the park will open first; in 2017, the rest of the park will also open, featuring biking and hiking trails, ziplining, fishing, and camping, and even a pedal-powered ride that uses the original monorail track. Obviously you’ll want to stop by Santa’s House and make sure you’re on the Good list. 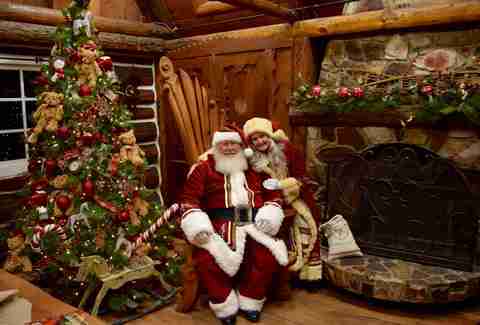 Don’t forget to put in a good word for us with Mr. and Mrs. Claus. 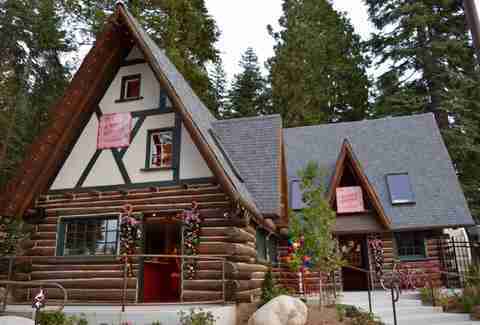 And you’ll probably want to stop off at The Gingerbread House -- formerly known as the Good Witch’s Bakery -- to pick up some freshly baked treats and hot cocoa. Or maybe you need some sweets from the Kandy Shoppe? 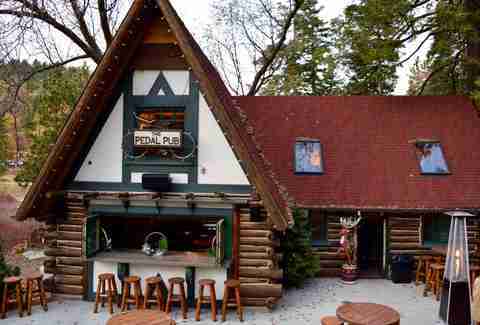 Either way, you’ll likely wind up here at The Pedal Pub for some craft beer and pub fare. You could also opt to enjoy a sit-down meal at Gatherings, which will offer upscale bistro fare and alcohol for the adults. Or there’s nearby St. Nick’s Patio and Grille for more casual eats like burgers, salads, and sandwiches. 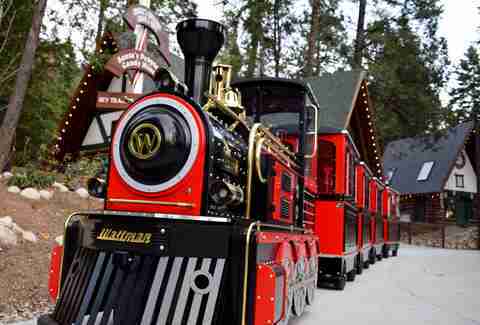 How about a ride on the restored Polar Express train? 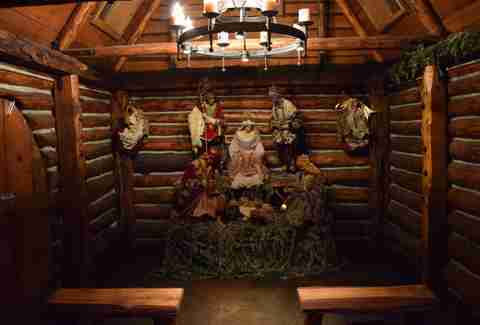 Or just check out the Nativity scene inside. 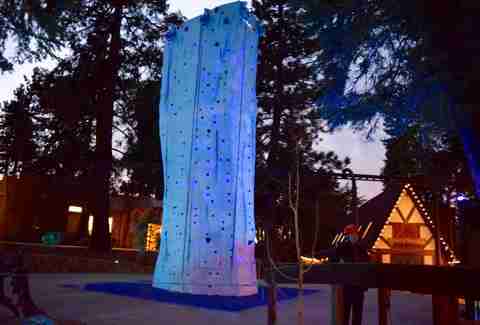 If you’re feeling limber, you might want to check out the Frozen Falls Climbing Tower, which features auto-belay and eventually running water down the back. 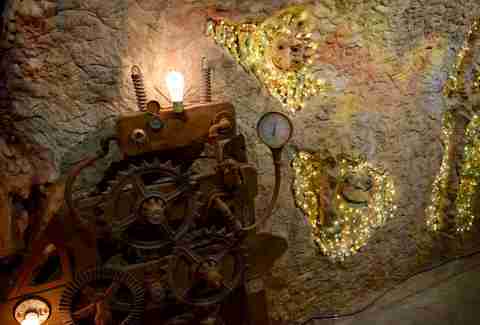 Just beyond the tower, you could also climb indoors in the Magic Tree Bouldering Room. Here’s where you can rent or buy bikes, pedal-powered four-wheelers, and other adventure gear for the park. Little known fact: Santa is a madman on the trails. 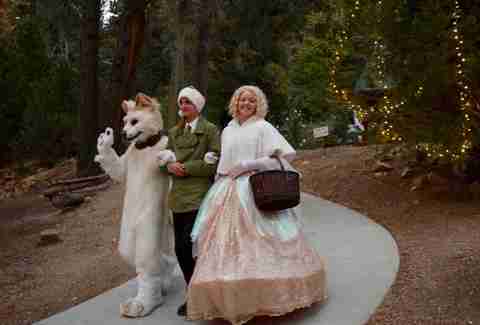 You’ll recognize many of the Christmas characters here like this elf and reindeer. ... and the spider protecting Santa’s Magic Key, all of which is a totally fun twist to the classic Christmas story. 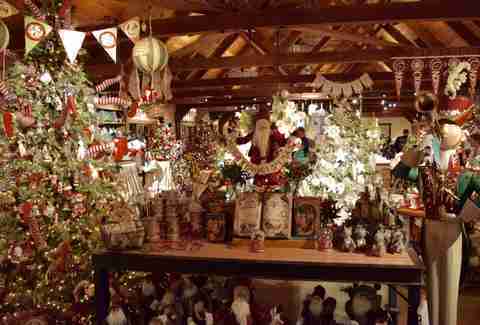 And, of course, you’ll want to stop off for some ornaments, decorations, and gifts to bring home before you leave the park. Danny Jensen is Thrillist LA’s Interim Editor who will likely be found at The Pedal Pub with Arrow around Christmastime. Send him your wish list on Twitter and Instagram.